Michele Serros: Despite her lack of self-confidence, how she became a successful writer. 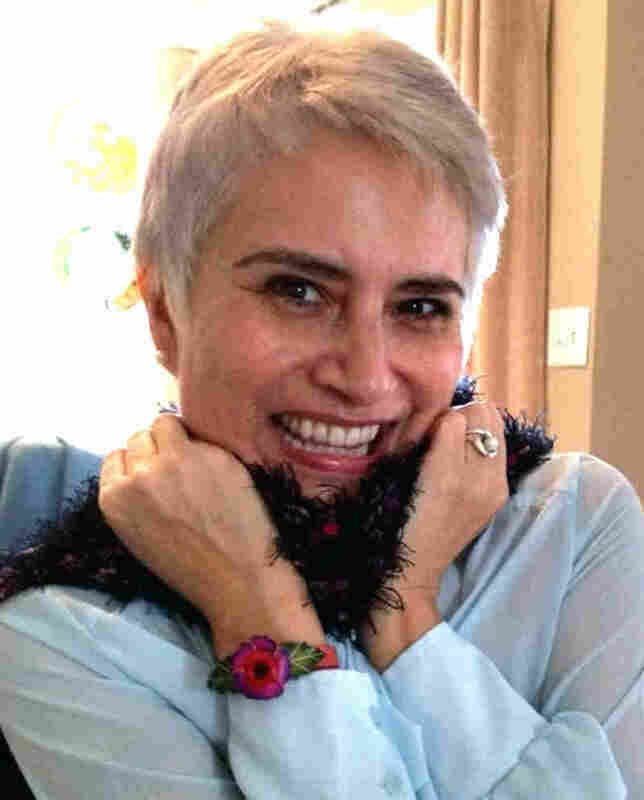 Michele, who recently passed away at age 48 from cancer, was a prominent Latina writer, whose often humorous poetry, short stories and novels, usually set in Southern California, reached a wide audience.. Yet to become a successful writer had been a significant struggle for Michele, for she lacked self-confidence. Growing up in Oxnard, a 4th generation Californian of Mexican descent, she didn’t see herself as beautiful. Instead, she saw what she felt was a large ugly nose, a dark skin in a white culture and speaking little Spanish, she was out of place in Hispanic culture. Then her self-confidence deteriorated further. When Michele was just 11 years old, her parents were going through a divorce and in desperation, she wrote to one of her favorite authors, bestselling children’s author Judy Blume, and asked her how to cope with the breakup of her family. To her amazement, Judy wrote back, and expressed her concern and sympathy, and she urged Michele to keep a journal of her feelings. This advice would set Michele’s life in a whole new direction. Michele and her mother immediately bought a spiral notebook and Michele began writing the first of what would be a lifetime’s worth of observations. Writing became her “private sanctuary,” and Michele knew she had found her calling. Even though they had little money, her mother so believed in her, that when Michele was 13, her mother bought her a nice roll top desk, because she felt that a writer needed a nice desk, a gesture that touched Michele's heart and reinforced her determination. But even as Michele put her heart into her writing, at school her teachers didn’t see any special talent, just a mediocre student. It appeared they were right as Michele had no success as a writer. Then in 1991, when Michele was 25, tragedy struck and it changed everything. Her mother died and she went through intense bereavement. Afterward, Michele stopped fearing rejection slips and criticism, which were minor in comparison to the loss of her mother, and she devoted herself to her writings. Her first book, “Chicana Falsa and other stories of Death, Identity and Oxnard,” published in 1994 eventually became a major seller, and became required reading in many Southern California high schools and colleges. The popularity of Michele’s books continued, including “How to be a Chicana Role Model (2000), Honey Blonde Chica (2005) and Scandalosa! (2007). In addition, she wrote articles for the Los Angeles Times, Washington Post and other publications. Michele's success was a dream come true, the result of her working through her confidence issues, the guidance provided by Judy Blume, and by the loving support of her mother. Editor's Note: To see and hear Michele click here. To learn more, please see huffingtonpost.com, latimes.com, news.yahoo.com, nypl.org. To learn more about Judy Blume, please click on this Wikipedia hyperlink.